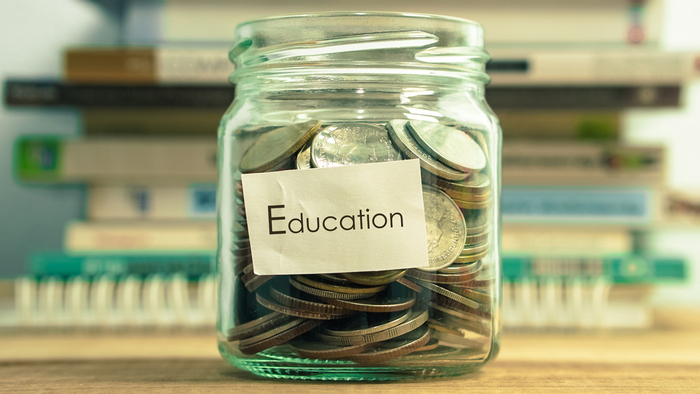 • Maya Ajmera at The 74 claims that we are at the tipping point in America when it comes to funding schools and why we must drive investments into education. • How can donors work to increase access to the materials and resources that schools and teachers need to thrive? What can policymakers do? • Learn about how to fix our broken education funding system. In the last few weeks, thousands of teachers in Oakland, California went on strike, following similar protests in Denver, Los Angeles and West Virginia. We are only three months into 2019 — and teachers have already taken to the picket line four times this year. In response, some critics have condemned these protests, chastising teachers for deserting their classrooms and even proposing they serve jail time or lose their certification. But these critics are missing the point. In my work, I review hundreds of grant applications from teachers across the country. Their stories of need are heart-wrenching and make it hard to fathom how a student could thrive, let alone focus, in the current conditions many schools are facing. Low-income students have limited access to STEM classes, as participation would require them to purchase their own school equipment. K-12 Education is a complex topic, and others found these selections from the Impact Giving archive from Giving Compass to be good resources. Giving Compass' Take: • Jonathan Raymond describes how he boosted student outcomes during his tenure as Sacramento Public Schools Superintendent by focusing on the students' needs beyond academia. • How can philanthropy help schools identify the most pressing needs of their students and fulfill them? • Learn about the benefits of community schools. I never studied “whole child” education in a classroom, nor did I learn about it in my broad foundation training to be an urban superintendent. Instead, I learned about whole child from children: my own kids, and the 47,000 public school students in Sacramento (a.k.a. “America’s Most Diverse City”), where I arrived as a newly-minted superintendent in August 2009, taking charge of a school system battered by budget cuts and middle class suburban flight. As the first Sacramento Public Schools Superintendent in 25 years to enroll my own children in the district I was leading, I got instant, eye-opening feedback. “Dad, did you know they serve corn dogs for breakfast?” Right then I knew that curricula and staffing were only part of the puzzle. The children in my district had needs that went beyond the classroom — physical and emotional challenges that risked becoming barriers to their success. And the more time I spent with the children and families of Sacramento, the deeper my commitment to whole child education grew. What we today term whole child education reflects what great teachers have always known: academic achievement is deeply tied to creativity and curiosity, physical and emotional well-being, confidence, self-esteem, and connection to the world. Children who are malnourished cannot focus in class. Children who can’t count on a caring adult in school are not engaged. Years of research tell us the arts are closely linked to everything we want for our children: academic achievement, character building, and civic engagement. During my tenure, high school graduation rates went from 68 percent to 85 percent district-wide and improved for impoverished students, special-ed students, and English learners. Read the full article about the whole child approach by Jonathan Raymond at The Center for Effective Philanthropy.